Respondent accounts provide a personalized portal for quiz takers to track and take quizzes or tests assigned to them. However, respondents are not able to create or share their own quizzes or tests. Username – mandatory. 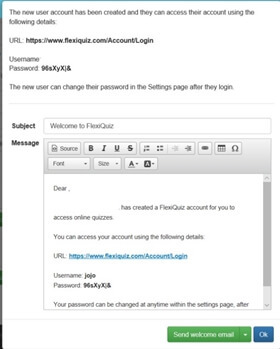 Needs to be unique as the respondent will use this to access their account on FlexiQuiz.com. Password – mandatory. FlexiQuiz provide one that is randomly generated. However, you can change this by typing over the text. 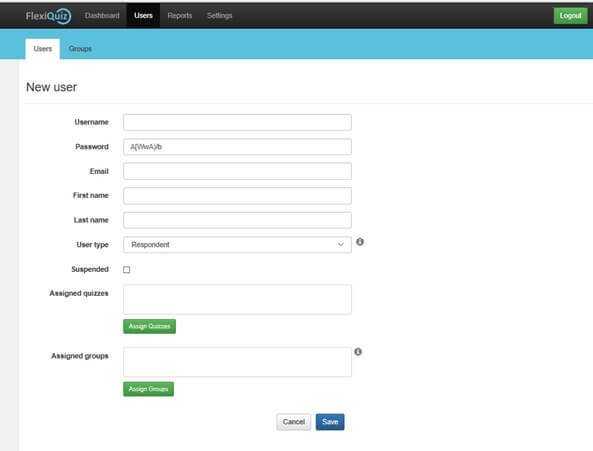 Respondents can update their password when from the settings page when they log into their account. Email – optional. 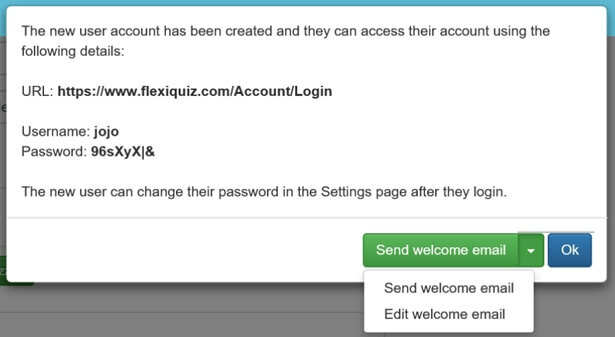 By providing an email address, you can contact respondents directly from your FlexiQuiz account with notifications. First name – optional. You may choose to include this for reporting and identification requirements. Assigned quizzes – optional. You can choose to assign any published quizzes to the respondent from this page or the Publish screen on your quiz. See Assigned quizzes help guide for more information. Assigned group. optional. 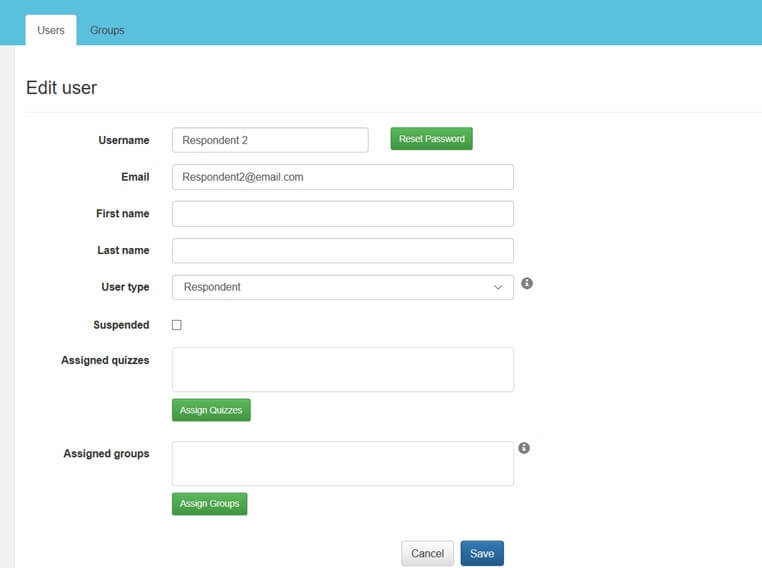 You can assign the respondent to a group you have already created. See Groups help guides for more information.